I had a great past year working on my Etsy shop. This coming August will be 3 years since the launch and I keep learning new things daily. This year was a little different running my own business. I think this is because I let a lot of the new wear off. So I've been making conscious choices to steer clear of that from now on. (Sidenote: if you feel like the new is wearing off in your life/job/relationships please listen to this podcast!) It was really a year of growing and learning behind the scenes which is not really something everyone can see, but totally worth it and necessary! I came out of the year with a lot of learning, so of course I want to share that with you and hear your own learning experiences of 2015. I was able to launch an Fund On Etsy campaign and thankfully, I was fully funded! I almost said no to this opportunity just because of silly excuses and even the fear I wouldn't be fully funded. It was a great opportunity to bring something new to my shop without a lot of risk! So I am so glad I decided just a few days before the deadline to say yes! Back in April, I got a job at Anthropologie. I loved working there. One of the reasons I got the job was to try something new with my schedule and see if it inspired me and motivated me to work smarter when I was at home. For a while, it worked…but in the end I saw how it was distracting from what my main focus is: Always Rooney. I also knew it definitely was not going to work out with the holiday schedule, so unfortunately I had to back away. But I am so glad I tried it out, I think it really helped me get a fresh vision for working at home! My main trick of the trade for working at home is the handy dandy do not disturb feature on my phone. I turn this on before I go to bed and don't turn it back on until about lunch time or when I leave the house. It is the BEST THING EVER. My messaging is on on my computer so if anything important pops up I can address it, but not hearing my phone buzz every couple minutes is pure bliss. Try it, I think it will change your work flow. I'm pretty cautious and weary when it comes to collaborating with people, but when Taylor Tippett of A Travelin' Lady reached out to me, I was totally on board! Taylor pitched a few quote ideas to me for a custom passport cover and her "More knots in my hair and stories in my heart" quote has been a great outlet to a whole new market of customers! You can hear more of my thoughts and tips on collaborations and working with bloggers here. This goes for workflow, products, production, ways your shop is laid out…it covers it all! Just try something new. I did this a few times with pricing, shop banners, colors in photos and when it was all said and done I reverted back to what I was already doing. It is totally fine if things don't work like you think they will- just try again! I am always getting new questions about personalizing passport covers and shipping policies so I really worked at keeping those things updated throughout the year. I've really tried to make a habit of making small tweaks and every month or so assessing how everything is flowing and change details accordingly. This is basically instagram exclusively for Etsy. I don't always post on Instagram what I am working on in my shop, but I love updating my shop with small things I'm working on. 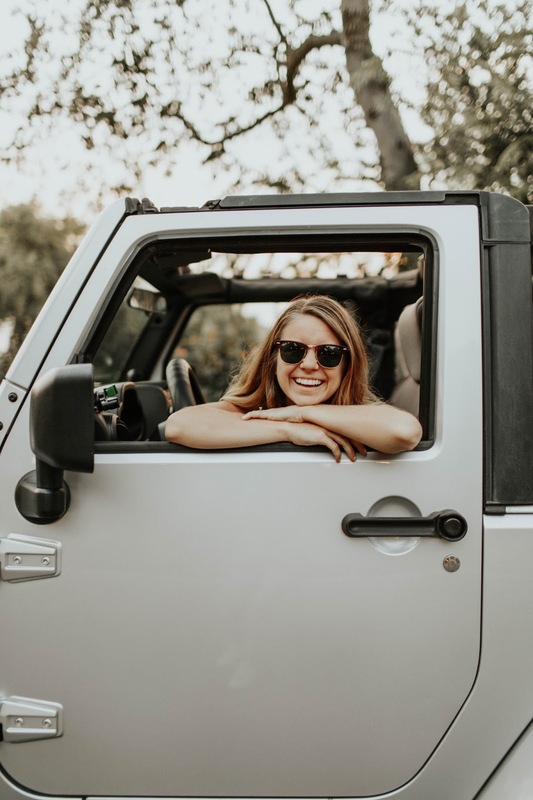 It helps connect with customers and it isn't as repetitive as it can come across on instagram! You can see my shop updates here. 8. Have a "why". Write it down, hang it up, remind yourself of it often. I'm a homebody and all around introvert, but even then work can be draining. I touched on this at the beginning of this post, about not letting the new wear off. I've had to stop and remind myself many times this year I am so blessed to have this business! Creating a habit of thankfulness and reminding myself of my "why" has truly improved running my own business. I have lots of close friends that sell on Etsy (some are featured here)! I don't know how I was blessed with these girls, but I sure am thankful! It is SO encouraging to see my friends succeed at owning their own shop and it really helps to bounce ideas off of one another. It also helps to realize "I'm not the only one" going through some challenges. I've also learned this past year it is so important to create relationships with shop owners, leather suppliers and other creatives. Reach out to people, say hi, these seemingly simple things we usually look over are so important and really enrich your business in ways that you can't put on paper. For stats, I try to come up with a few new ways of marketing my passport covers and following my stats via Etsy on what works best and what doesn't. 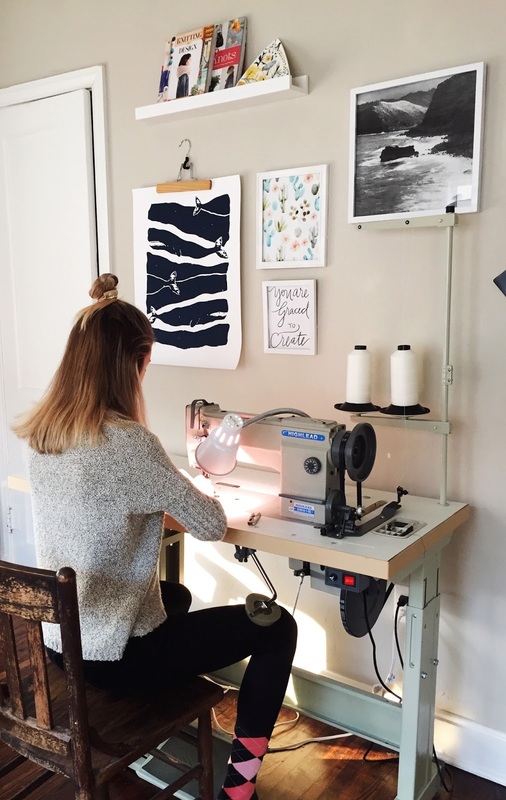 For 2015, my main traffic source was etsy.com followed closely by the Etsy app! For profit goals, I always budget out my months way below what I'll actually make on Etsy since it is always a shifting market, this has really proven to be helpful this past year. 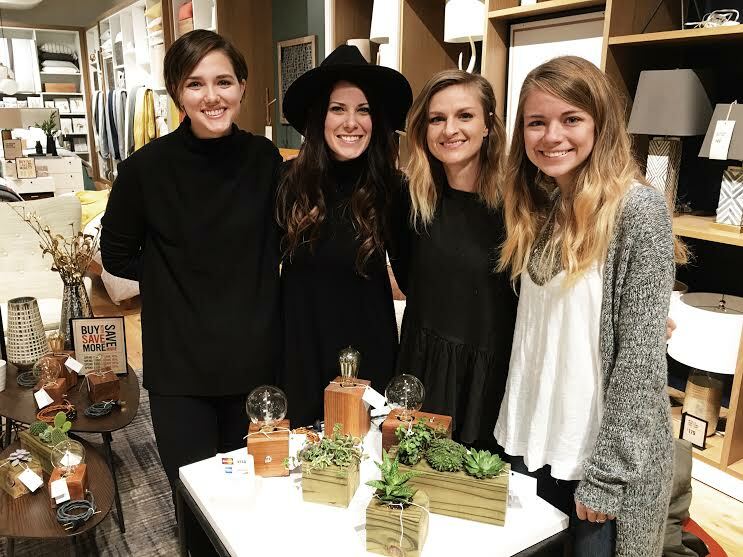 I was a part of two pop-up shops at West Elm this past fall and while it didn't mean tons of sales, it did mean lots of new relationships and opportunities to meet the people of my community! It was a step outside my comfort zone. Maybe not a leap...but it was a step! 12. When personalizing anything, always send a mock up. Email is the main source of miscommunication. I can be imagining one thing in my head and the customer want something completely different. It is worth it to take the extra time to send a mock up of what a custom quote, name or logo will look like! Most information of products go straight out the window since a photo is mainly what draws the attention of a customer. I try to write my most important policies and descriptions a few times all over my shop where a customer can see it before they check-out. Especially shipping deadlines, turn around times and personalization details! The worst feeling is seeing a package has been lost in the mail. Especially since this is completely out of your control. I've had to come to the conclusion several times this is just a risk that I have to have a back up plan to. I try to spend my Monday and Tuesdays planning out the week as well as cutting & sewing a bulk amount of passport covers for the week ahead. This makes my week go smoother and even allows time for me to take a lunch break, clean the house and run errands! What did YOU learn this past year? And what are your goals for your Etsy shop this year? I have one main goal for my shop this year and it seems daunting and I have no clue how I'm going to do it…but I'm going to work at it and see it through! Here is to new growth in 2016!